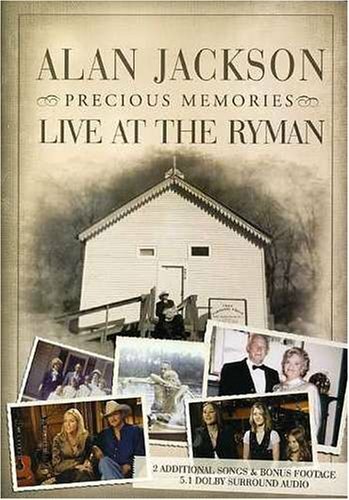 Country music superstar Alan Jackson is scheduled to rerelease a LIVE DVD recording entitled Precious Memories, Live at the Ryman in conjunction with Gaither Music Group. Available everywhere on August 11th, the video features Jackson’s stage performances of songs from his first gospel recording, Precious Memories, originally released in 2006. RFD-TV will premiere a TV special surrounding the release tonight at 6:30pm EST. BubbleUp is proud of its decade-long relationship with Jackson, one of the most successful singer-songwriters on the country music landscape. For more information about the Precious Memories release, visit AlanJackson.com.